UPDATE 1: NOAA extends the Storm Watch another 24 hours (Now 48 hours total). UPDATE 2: NOAA extends the Storm Watch yet another 24 hours (Now 72 hours total). 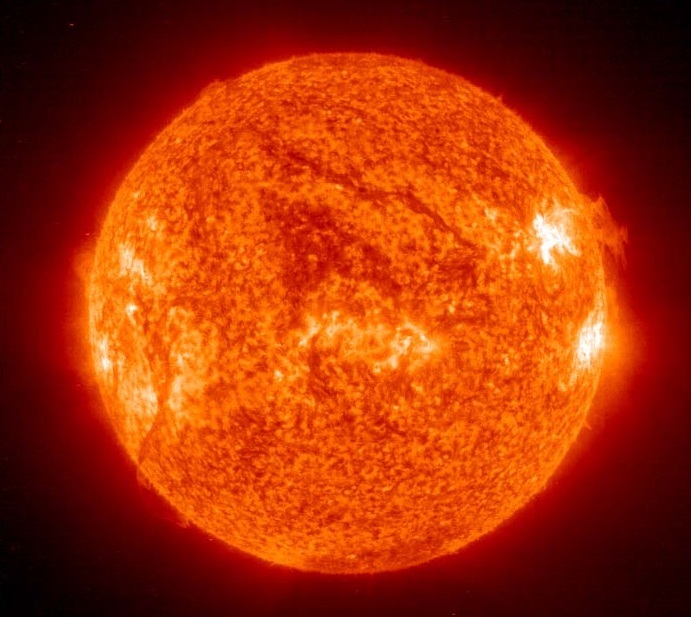 The National Oceanic and Atmospheric Administration (NOAA) Space Weather Prediction Center has issued a 24 48 72 hour magnetic storm watch indicating a Coronal Mass Ejection (CME) or a high speed solar wind stream emanating from the Sun may be heading towards Earth. These fast moving charged particles can cause a Northern Lights display. The watch begins at the time indicated above. It should be noted that the beginning of the storm watch does not necessarily predict the arrival time of the aurora-causing particles, rather it indicates that, within that 24 48 72 hour period, increased activity is expected. Real-time Aurora Borealis forecasts can be obtained at the Aurora Borealis Forecast page at Soft Serve News.